What do you do when a single company has multiple product announcements and releases in the same week? As a tech media website catering to PC hardware and software enthusiasts, coverage of everything new backed with independent testing is most desirable, but oft not possible in such situations. It is no secret that AMD has Ryzen 3, Vega, and Ryzen Threadripper hardware product launches coming in shortly, and having the right software driver to support the hardware is critical. AMD has traditionally relied on driver updates to get the hardware performing better with respect to the competition as the months go by. Perhaps it is "Fine Wine Technology" for marketing, but with an emphasis on updating their drivers consistently based on both user feedback and internal testing, they have managed to do a lot better in the past year and a half than before. 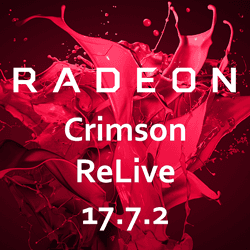 Today, we preview the new Crimson ReLive Edition 17.7.2 VGA driver, which continues on this path and introduces a good number of additions and updates. 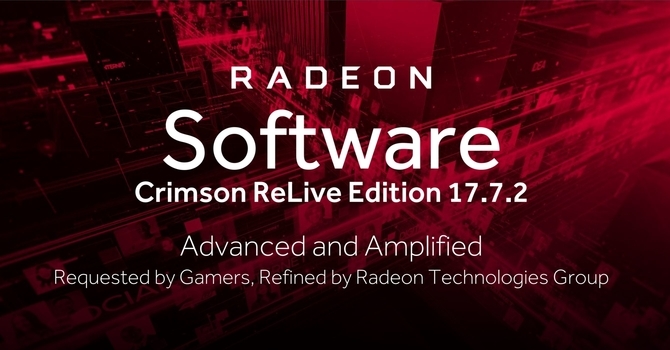 Radeon Crimson ReLive Edition 17.7.2, or henceforth known simply as Crimson ReLive 17.7.2 to save a mouthful, was considered important enough for AMD to organize a press briefing, and part of this involved bringing to fruition some features their RTG software development team has been working on for a while now. Some of these include user-requested features, like moving some settings options to the main tab directly, whereas others are more novel, including AMD's take on an improved GPU display synchronization on both fixed- and variable-refresh-rate displays - something they call Enhanced Sync. So let us begin the preview with a look at some of the salient features on the next page.